​Dustoff makes sure what needs to get done, gets done with your rental properties. 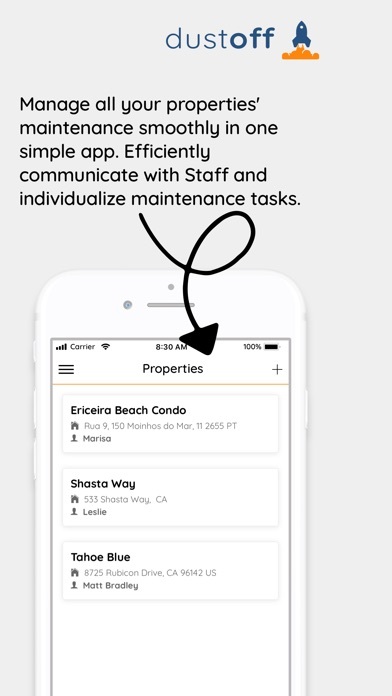 Communication and scheduling is streamlined between Property Managers and their cleaning team and maintenance staff. 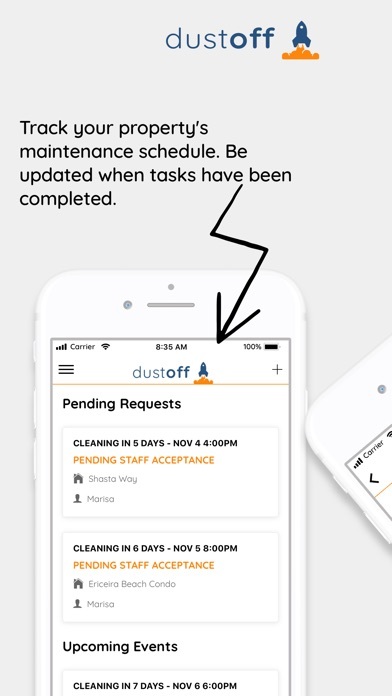 Between automated scheduling, communicating details about guests or tasks and reducing human error, Dustoff will make your property more efficient. 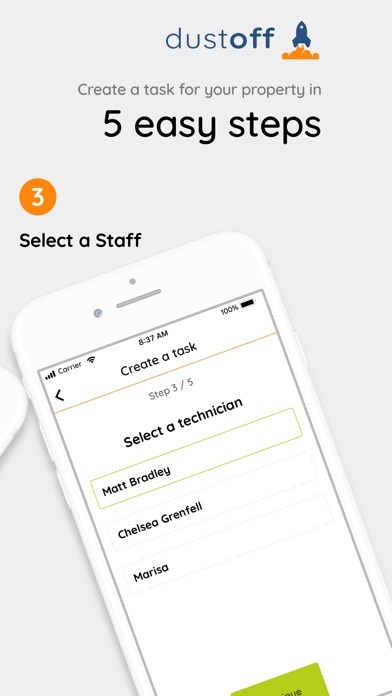 Easily know when a cleaning or maintenance task has been requested, is pending or is complete. 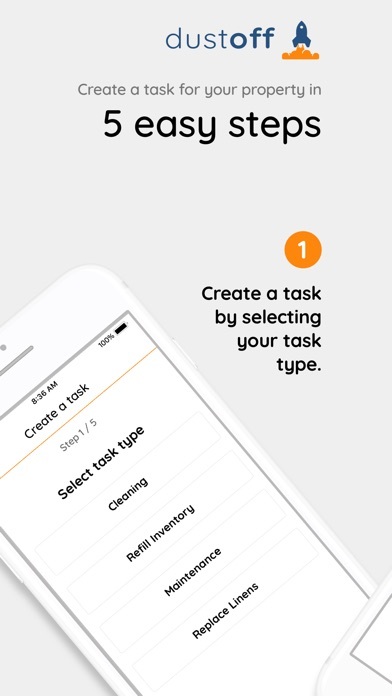 Add notes about that specific maintenance task (daily cleanings? extra blankets? baby crib? etc.) or specifics about tasks (clean windows, etc.). 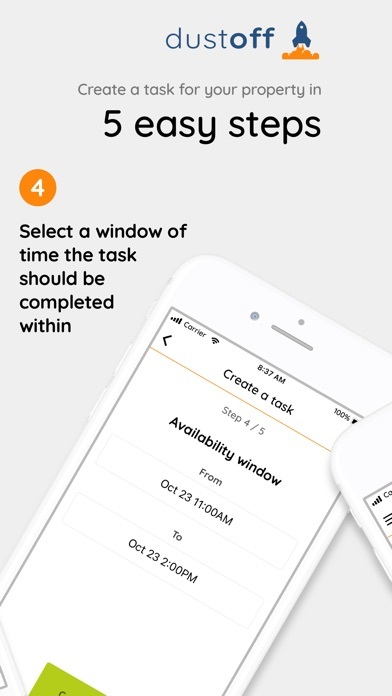 Once the task is created, a request will be sent to your Staff to accept the task and further communicate with you if required. Reminders for maintenance will be sent, tasks need to be accepted and there are instant notifications when tasks have been completed. 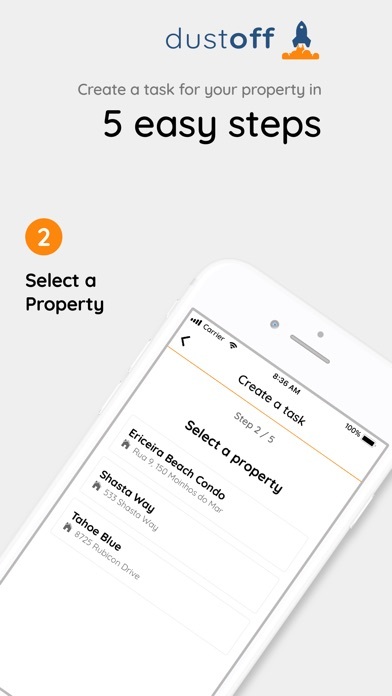 Multiple properties can be managed within the app and multiple staff can be listed. Sign in requires a mobile phone number.